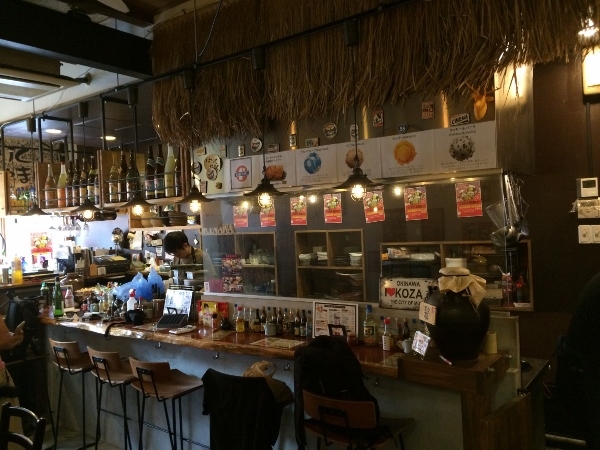 Stepping into Hariku Yamaku, the Okinawan restaurant on Meiji-dori Avenue near Nishi-ojima Station, one is instantly transported 1500 kilometres south to Japan’s tropical paradise. 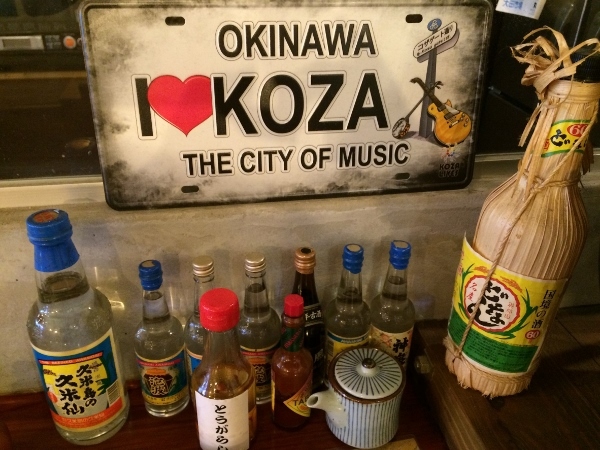 The bouncy rhythms of Okinawan music, the dried grass curtain above the bar, the laid-back atmosphere and the brightly-coloured bottles of various sizes all combine to chase away the sweltering Tokyo summer day outside. This is island time! Rafute was originally served as part of palace cuisine but its popularity has spread far beyond its island home. 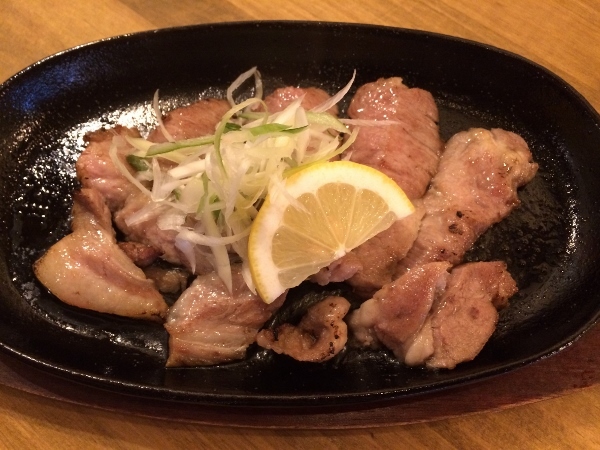 It’s a dish of pork ribs with the skin left on and stewed for hours in a mix of soy sauce, awamori and black sugar. The black sugar and awamori impart a rich sweetness to the deliciously soft meat while the skin and fat become gelatinous, like collagen. Generally served with hard-boiled eggs cooked in the rafute sauce and a dab of fierce mustard, this really is a dish fit for royalty. 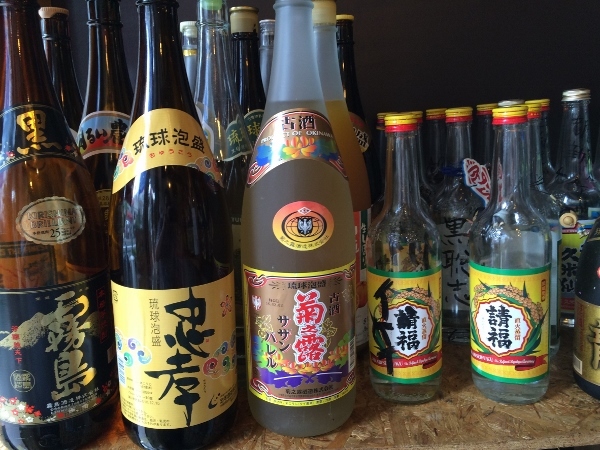 Awamori is a clear spirit distilled from rice using techniques that arrived from Thailand in the 15th century as part of the Ryukyu Kingdom’s extensive sea trade. The locals adapted the techniques to suit the subtropical climate and added the local black koji (the mold Aspergillus oryzae) for fermentation. All awamori is exclusively made from imported Thai indica rice. Umibudo (sea grapes) is a kind of edible seaweed that has little bubbles rather than leaves, hence the name. 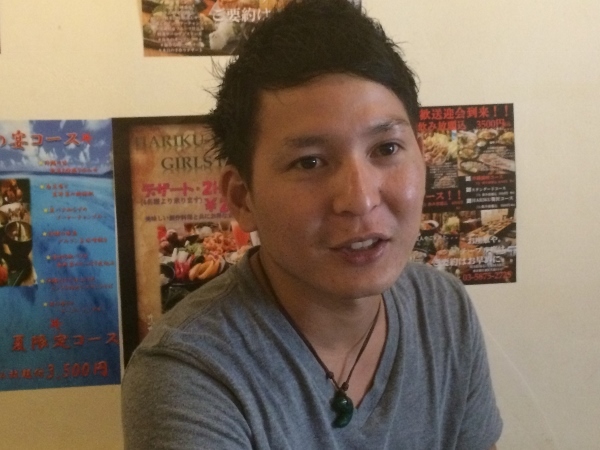 Despite being a mainstay of Okinawan restaurants all over Japan, Mr. Tokumine assures us they are far from universally eaten in Okinawa. “They’re from Southeast Asia really; Indonesia, Vietnam and Malaysia,” he says. What’s not in doubt is the quality and popularity of Agu pork, from the native black pig. The Agu pig is black, hairy and resembles a wild boar more than a domesticated pig. The meat is delicious: soft, highly marbled with sweet and richly flavoured fat. 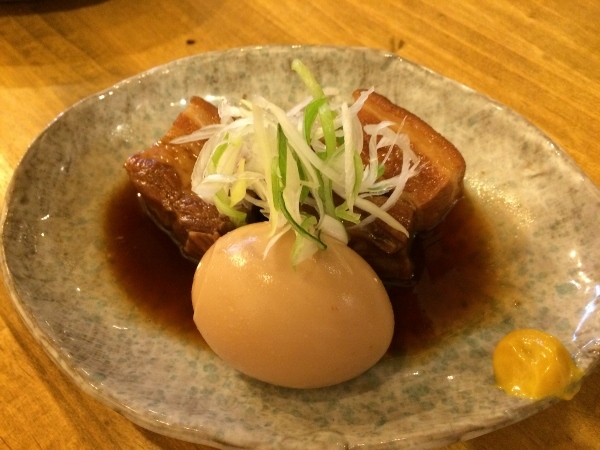 The Agu pork served at Hariku Yamaku is of very high quality. 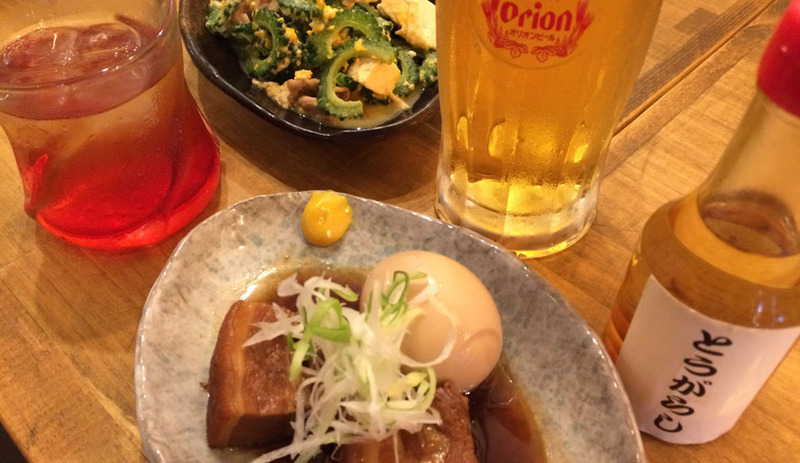 Pork in all its forms may be the most predominant ingredient in Okinawan cooking but fish play an important role as well. 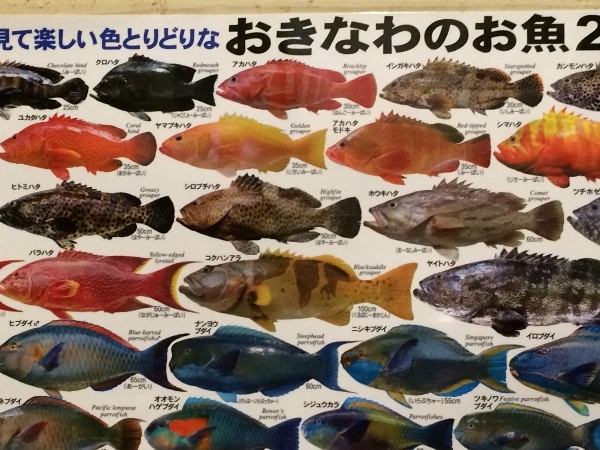 The emerald blue and splendidly named knobsnout parrotfish (aobudai), the marbled rockfish (kasago) and the chocolate hind (mibai) are all popular, appearing on the menu depending on their availability at the fish market. 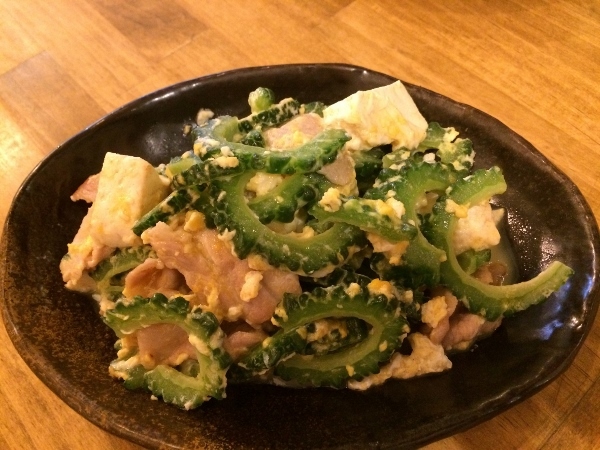 Mr. Tokumine and his hard-working staff create a warm and welcoming atmosphere in Hariku Yamaku. 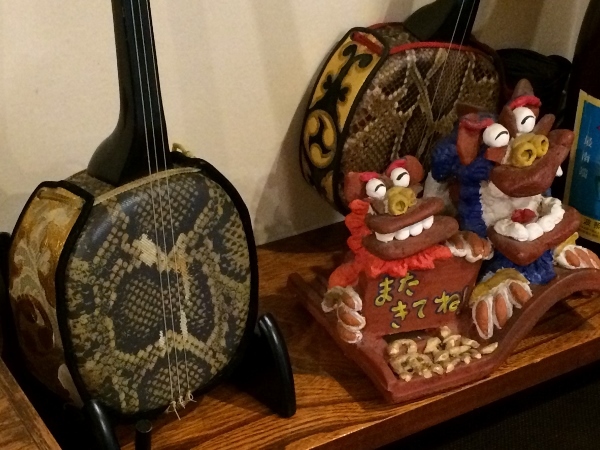 In the back room one can find some musical instruments including a sanshin, the three-stringed, snakeskin-covered Okinawan banjo, descended from the Chinese sanxian and precursor of the shamisen. The proprietor, apparently the possessor of a fine singing voice, occasionally strums a few tunes. 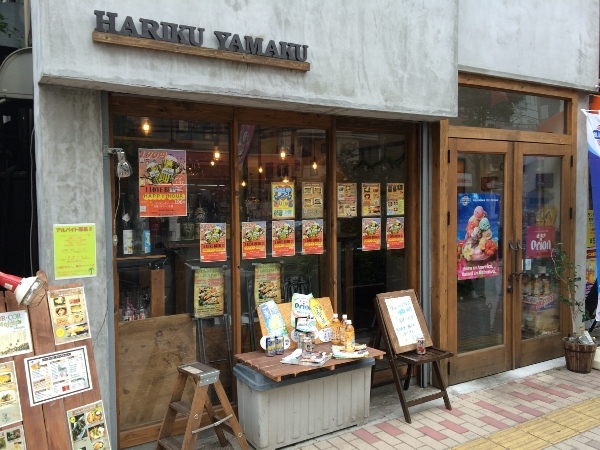 If you’ve never visited the balmy wonderland of Japan’s most southerly prefecture, the next best thing is an evening of food, drink and music at Hariku Yamaku. 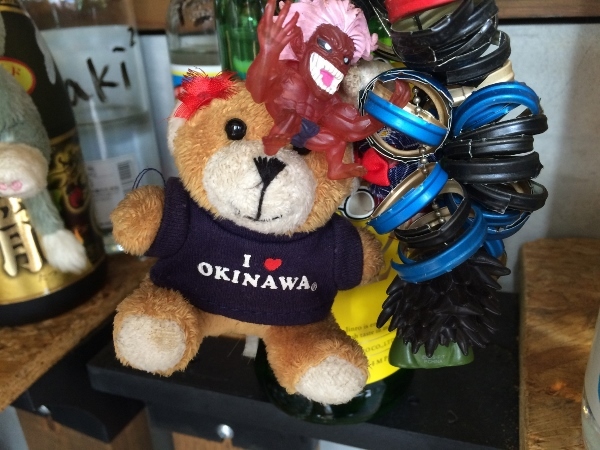 In Okinawan dialect the name means, “Come on in!” What are you waiting for? And if that weren’t enough to pique your interest, there’s a happy hour from 5pm to 7pm every evening. 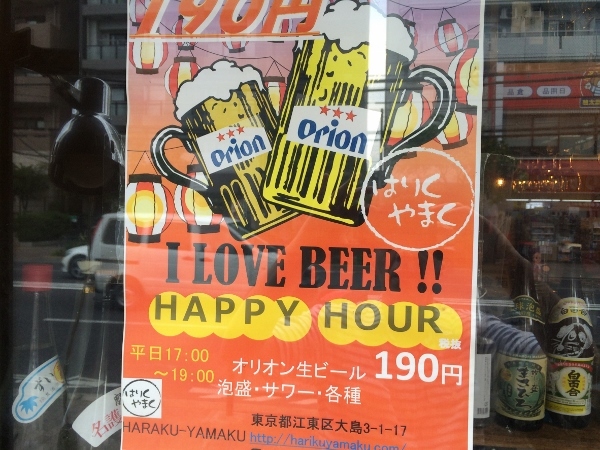 Orion draft beer and awamori sours are only 190 yen each. That’s value! Copyright © 2014 ことみせ. All rights reserved.